Freedom Golf Scramble April 23, 2012 at Diamante Golf Club Hot Springs Village. Was a huge success. Second Annual Freedom Golf Scramble hosted by Diamante Golf Club of Hot Springs Village. Thanks for all the sponsors and teams that attended this year. The AFF is partnering this years scramble with the Little Rock VA Volunteer Services. Help us as we help them. We had over 250 golfers and 16 wounded warriors.. Along with a visit from the LRVA Center for Living. Thanks for your support and lets make next year bigger. 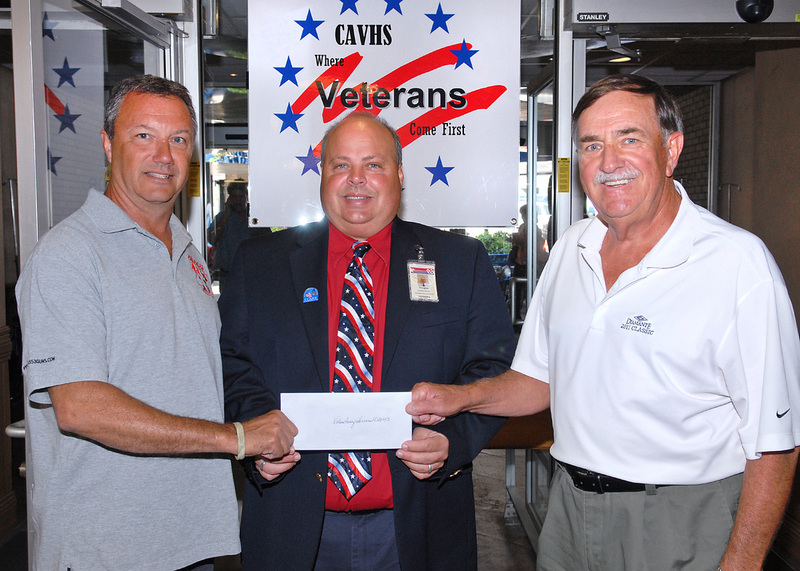 AFF Director Mark and Golf Co Chairman John Matthews present Doug Bowers Chief of VA Volunteer Services a check for 2000.00 from the Freedom Scramble. Supporting the AFF helps all veterans of Arkansas. Our Sponsors. Please visit them and say thank you for their support for Arkansas Veterans, Wounded Warriors and their Famlies.